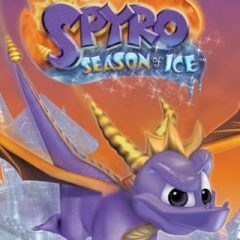 Explore the adventures of cute, but young and powerful dragon called Spyro. Collect gems of green, red and blue colors, break the barrels and use the tiny wings to float. A new game with our old good hero is here. Spyro was chilling out with friends, when suddenly there was a thing that grabbed their attention. The journey has began and you must lead him through challenging levels and collect as many colored gems as you can.